1. Tigers can weigh as much as 720 pounds and be as long as 6 feet with a 3-foot tail. 2. The earliest remains of tigers date back about 2 million years in China. 3. The Siberian tiger is the largest subspecies of the tiger family. It can weigh as much as 800 pounds when it is fully grown. 4. The pattern of stripes on each individual tiger is different. They are much like a human fingerprint – no two patterns are alike. This is often how individual tigers are identified when they are in the wild. 5. Tigers live mostly on the continent of Asia. Most of them are found in China and India. Some species, such as the Siberian tiger, live in eastern Russia. 6. 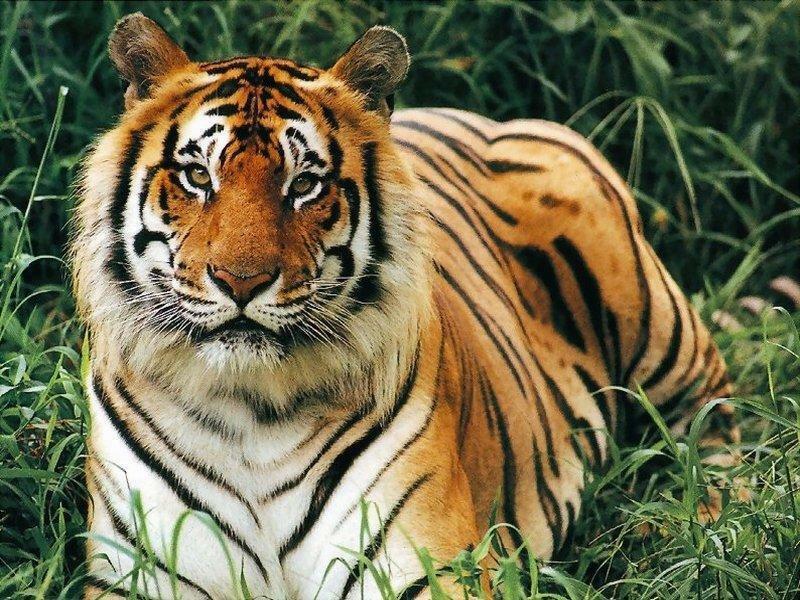 There are nine subspecies of the tiger, including the Sumatran tiger, Siberian tiger, Bengal tiger, South China tiger, Malayan tiger, Indo-Chinese tiger, Bali tiger, Javan tiger and Caspian tiger (the last two are extinct). 7. The tiger is the largest cat in the world. 8. Female tigers are called tigresses while male tigers are simply called tigers. Baby tigers are called cubs. 9. In ideal circumstances, tigers can run as fast as 40 miles per hour and they can jump as high as 16 feet. 10. Tigers are the third largest meat-eating mammal on earth. They are only behind the polar bear and the brown bear respectively. 11. Tigers have a keen sense of sight, which makes it easy for them to hunt for their prey at night. 12. Tigers actually like living by the water. They can swim up to four miles. 13. More tigers are currently living in captivity than the number that is living in the wild. 14. Tigers have no predators except for humans. 15. The gestation period for tigers is approximately 100 days, or just a little more than three months. 16. Tiger cubs can often begin catching prey at the age of one. 17. In captivity, tigers have been known to live as long as 26 years. In the wild, they typically live between 10 and 15 years. 18. Only about 1 out of every 10,000 tigers that are born are white tigers. This is a rare genetic situation which causes the tiger to be born all white. In addition to being white, they are also distinctive in that they have a pink nose and blue eyes. 19. A tiger’s roar can be heard as far as two miles away. 20. When a tiger cub is first born, it is blind and very weak. It stays with its mother for about two years to learn how to hunt and take care of itself. After those two years, a tiger typically goes and lives on its own. 21. Tigers like to eat other animals, including wild boar, deer, buffalo, rabbits and fish. In some cases, they will even eat bears and crocodiles. 22. Tigers only catch about 5 percent of the prey that they actually go after. 23. When a tiger kills large animals, it typically hides the body somewhere so that other animals cannot get to it. This is because it can take the tiger several days to finish eating the animal’s carcass. 24. The golden tiger is even rarer than the white tiger. There are about 30 golden tigers living in captivity in the entire world. Golden tigers have golden brown fur and sometimes they produce white tiger cubs that have no stripes. 25. The tiger is an endangered species. The main reason for the depopulation of the tiger is because humans have reduced their living areas they have hunted tigers for many years for their fur and body parts.